A trendy casual eatery, Veranda Café offers exquisite a la carte selections as well as International and Asian buffet distinguished by the high quality of produce and deft culinary skills. 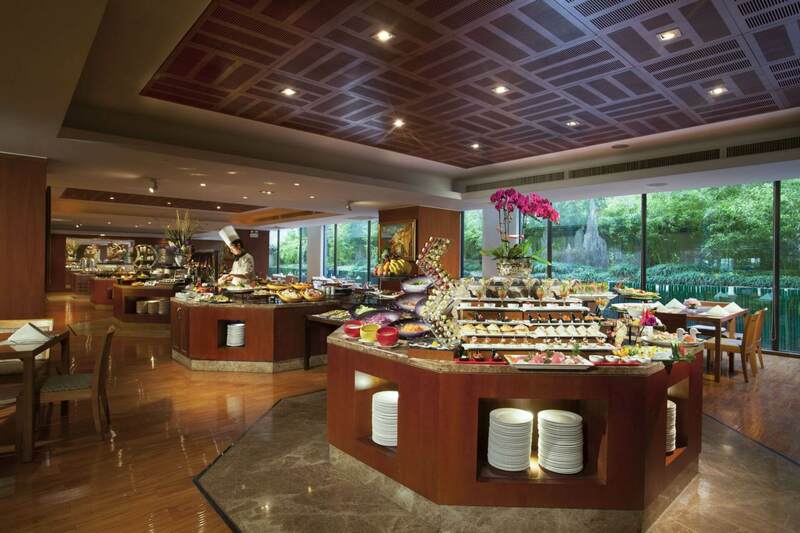 Available for breakfast, lunch and dinner, guests may revel in an oasis of charm and tranquillity under the skylight of the towering atrium at this Xian buffet. Delicious classic Mediterranean wines, leading you into the colorful world of Italian beauty. Italian cuisine has a long tradition, each dish inspired by a touching story. We invite you to savor the cuisine specially prepared by the Master Chef. Enjoy this romantic dining experience with your loved ones!